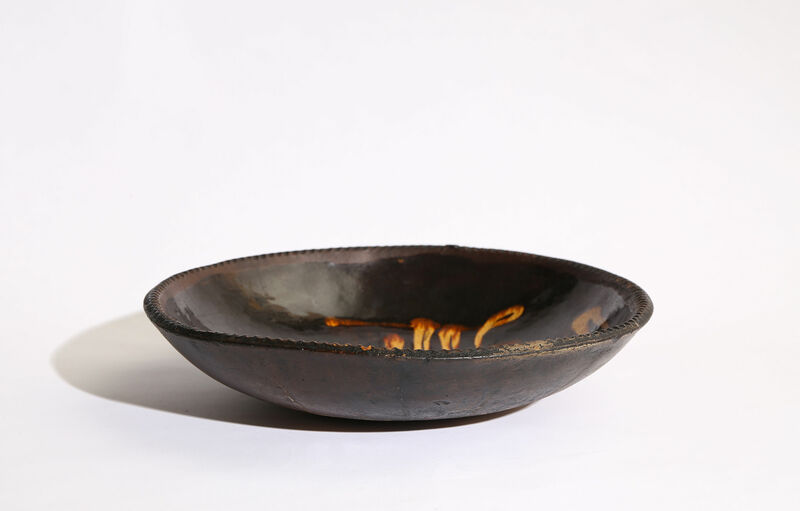 The circular bowl with pie-crust border trailed in cream slip onto a dark brown ground and covered in a clear lead glaze. 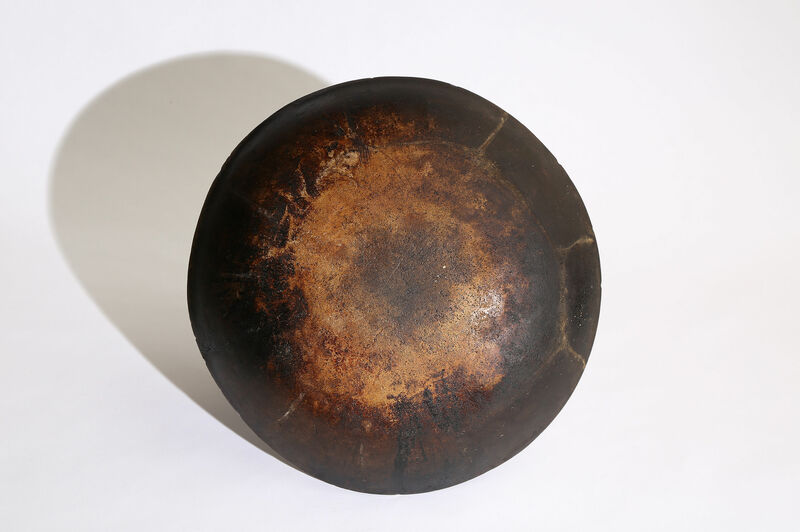 We are grateful to Emlyn Roberts for pointing out that other pieces of this type are known to have Shropshire provenances. 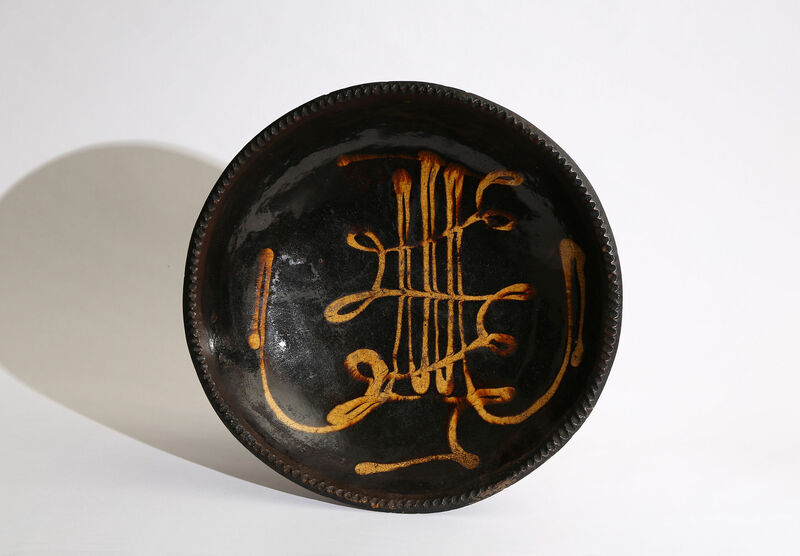 see David Barker, The Potteries Museum and Gallery Slipware Collection, p.155. The slip is trailed in two fluent motions to create an unusually free and calligraphic design. The decoration would have taken only about 15 seconds to complete. The bold asymmetry of this dish is very exceptional and begs the question that was this an experiment in an untypically free design or an aberration? Whatever the potter’s intention the result is a triumphant success. Condition – Surface wear. No restoration.